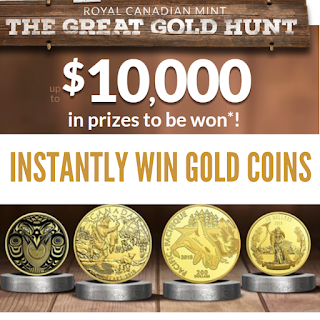 Every year the Royal Canadian Mint offers a great contest with coins as the prize. This year there is $10,000 in prizes to be won! Play a super easy game and hunt for gold. You can win gold coins instantly too! There is a total of 250 instant prizes to be won. You can earn bonus entries by answering trivia questions, sharing with friends and family and more. 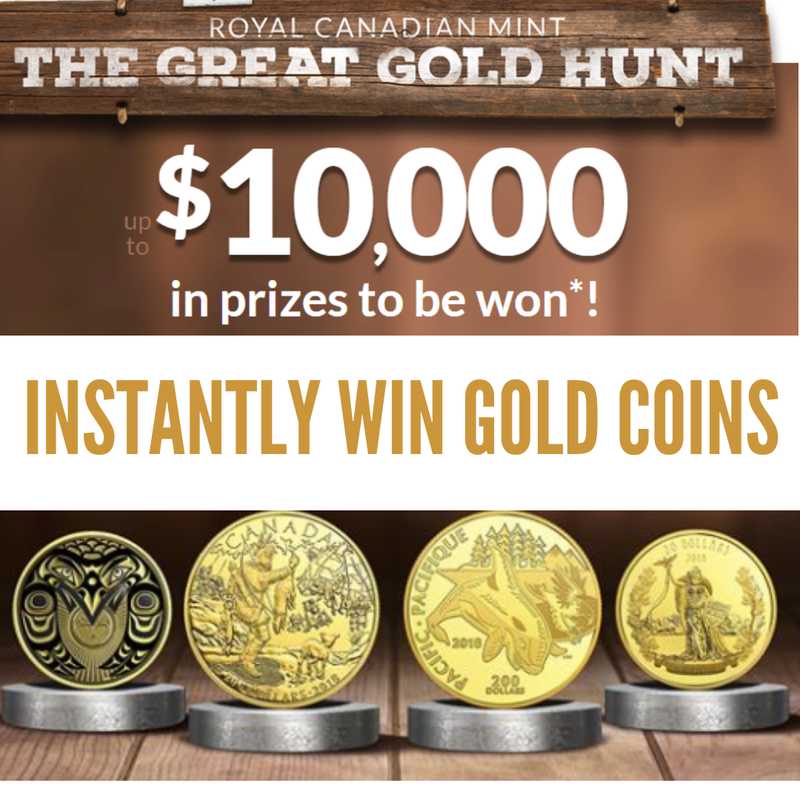 You must be the age of majority to enter the Royal Canadian Mint contest. Ends on October 15, 2018.